You can see that this is the story of a passion immediately, from the car park of the Riva Center, a splendid building totally covered in Siberian larch. It can also be seen in its attention to detail, aesthetic research and its expression of 'everything well done'. From the road one sees that this is a consistent idea, looking at this space that guards history and innovation, from the outside. That everything revolves around a material "that is a trace of what has been and a forerunner of what is to come" is clear right away. It becomes evident that we are talking of Natural Living when you purchase a product and you receive a sapling as a gift, grown from seeds in specially created nurseries to plant in your garden at home, in a wood or in a park. 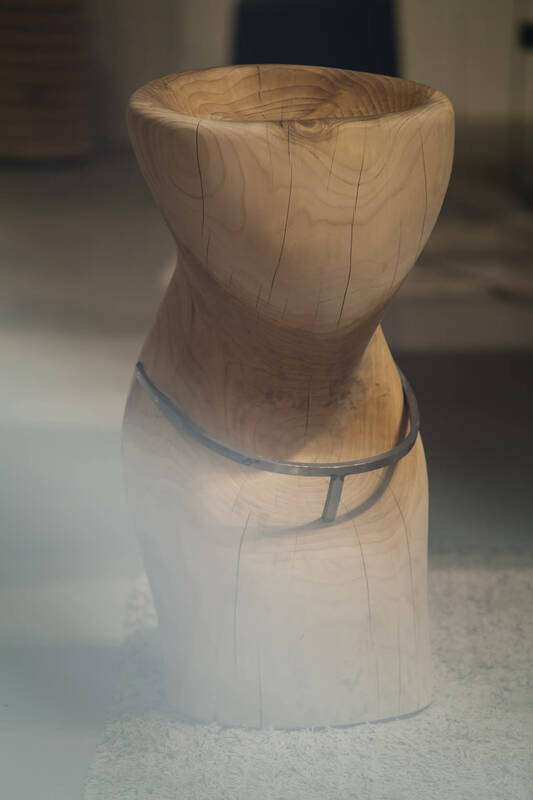 That the history of Riva1920 is this and much more can be seen by exploring the unique spaces of the fascinating Wood Museum, immersing yourself in the company’s head office in Cantù, in its large showroom, in its production plants and design offices. Only this way can you discover the essence of a reality that is unique within the sector in a wide range of aspects, only by seeing how the material is crafted can you explain the results obtained in terms of quality products, prestigious designs, long-lasting partnerships with designers, a large number of awards and a great deal of international recognition. 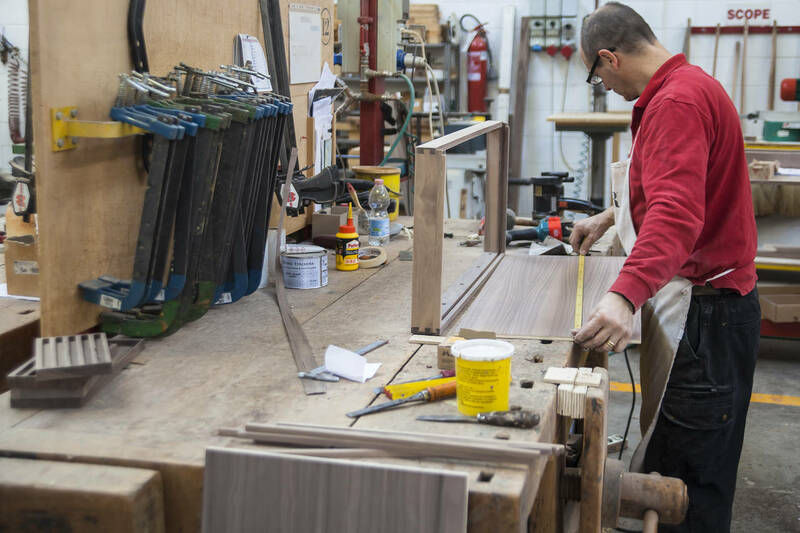 By seeing the quality and excellence of every phase of the production process you properly appreciate the furniture, design and home accessories that come from the Riva 'carpentry workshop'. 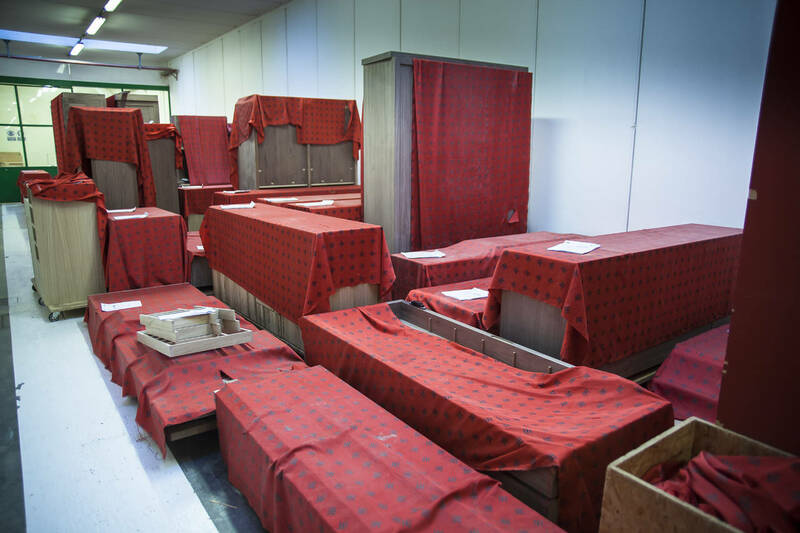 The red cloth that covers the wood and the semi-finished products and is the common denominator of the whole production, is a demonstration of 'taking care'. The red mallet with which one is invited to destroy imperfect furniture is both a threat and a guarantee of excellence - of maniacal perfection. It it a long time since it has been used. 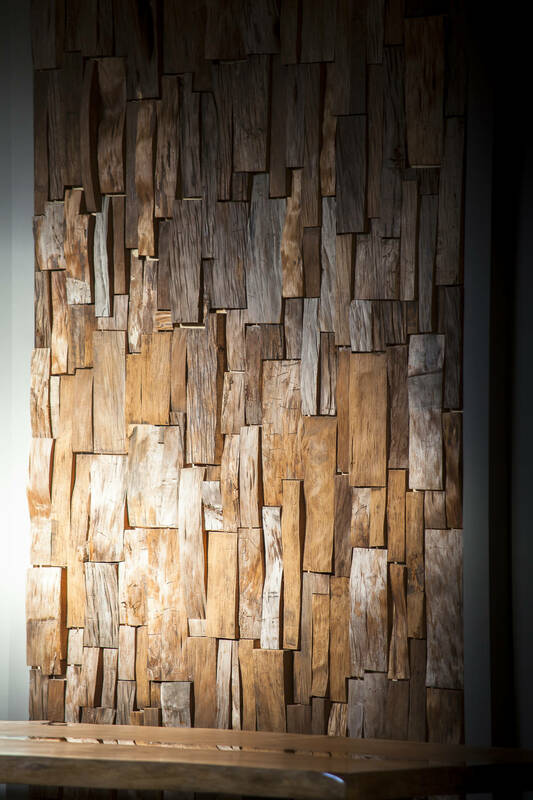 Maurizio Riva calls himself a carpenter, in the etymological sense of the term: one who works with wood. It can’t be faulted. That he and his whole company add ideas, research, creativity and attention to humanity and to the surrounding environment, is a result that has been recognised by the international design world. 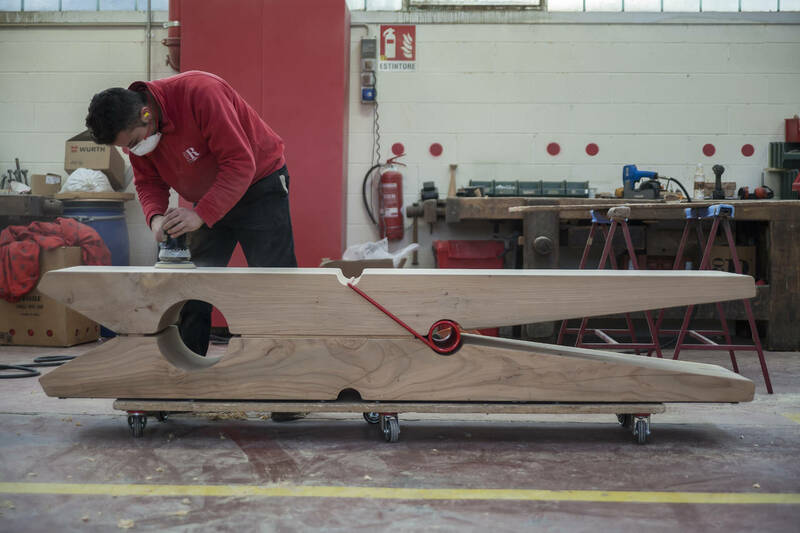 There is also the company's openness to the influences of other experiences, both in design and from interlocutors from other sectors, who share the same attention to craftsmanship. 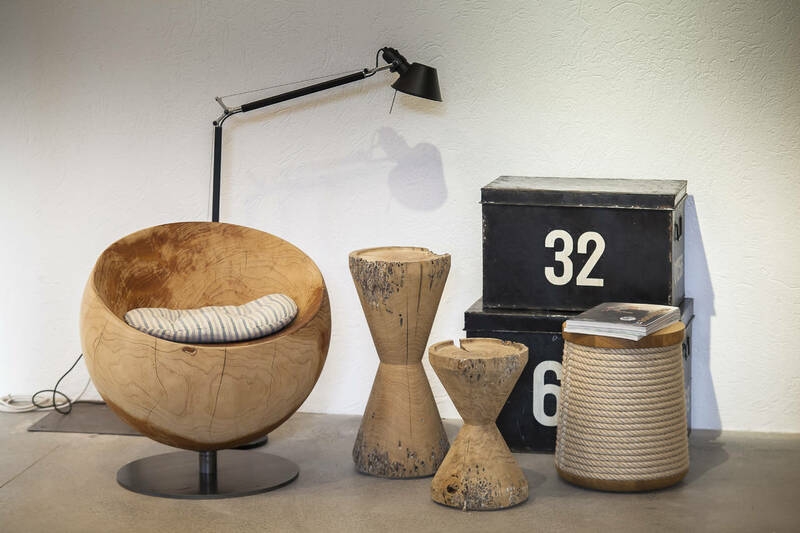 Wood is obvioulsy the focal point of Riva1920’s philosophy. 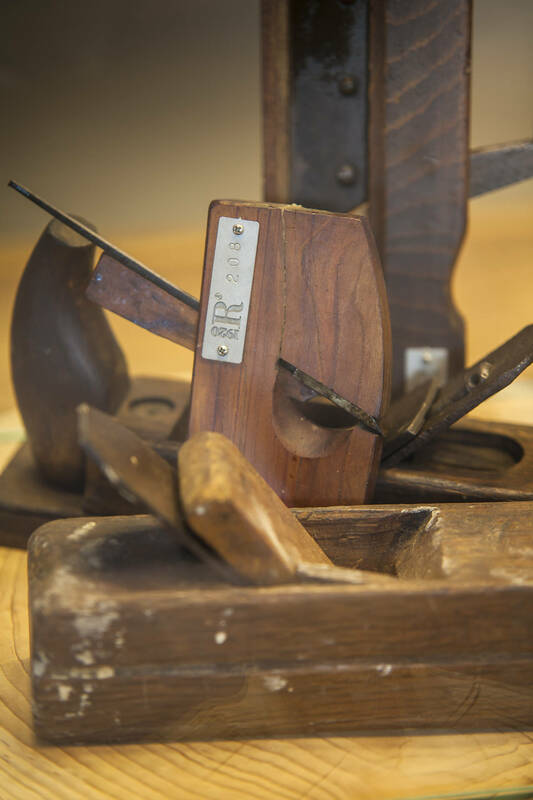 The right mix between industry and an artisan workshop is the formula to interpret it and a perfect knowledge of its features and potential is the way to do it as well as possible. 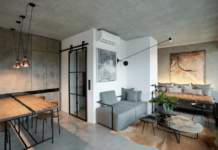 Reinventing, leading and remodernising: there are many words for the process that interior design and architecture call transmitting values from the past to the present day. At Riva the only way to do it is to do things well. 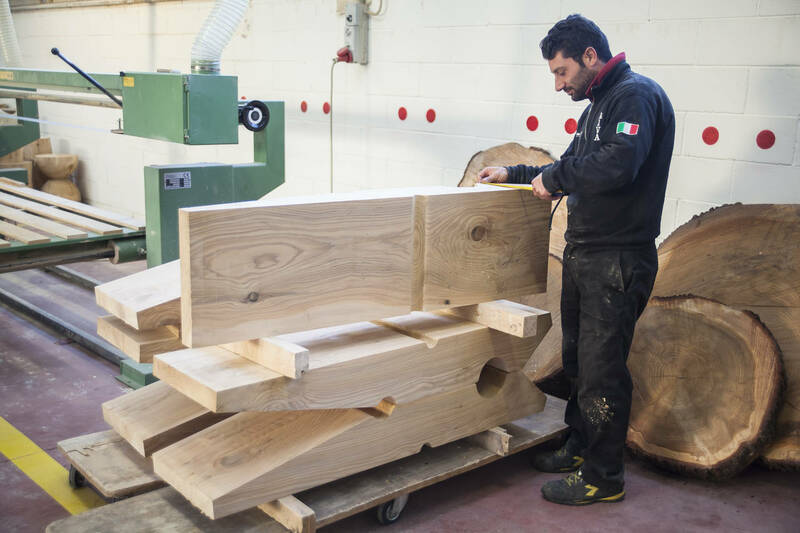 Firstly, this means choosing the right materials: certified wood from reforestation or recovery, then interpreting it through qualified craftsmen and traditional working techniques, but using high tech machinery and technology. 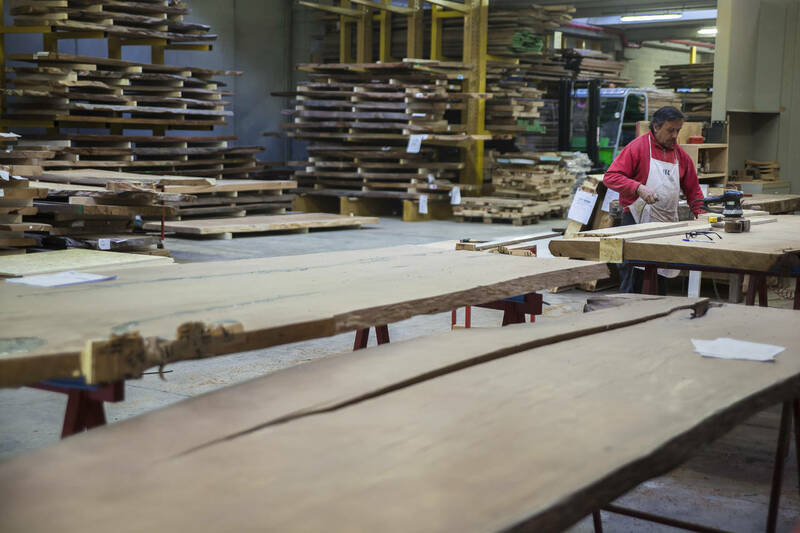 Developing quality products and continuing to follow a coherent path in the production of solid wood and of all wood. 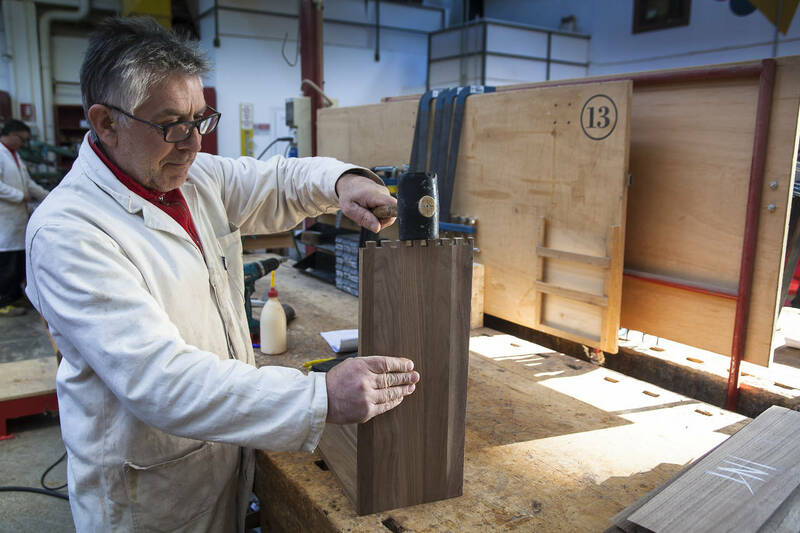 Drawers with dovetail joints, perfection in manual mechanical gluing, care in workmanship, hand sanding and much more, including high tech machinery with 4 or 5 axes, sophisticated technology and controlled processes. A balance between man and machine that is not always easy but is vital. 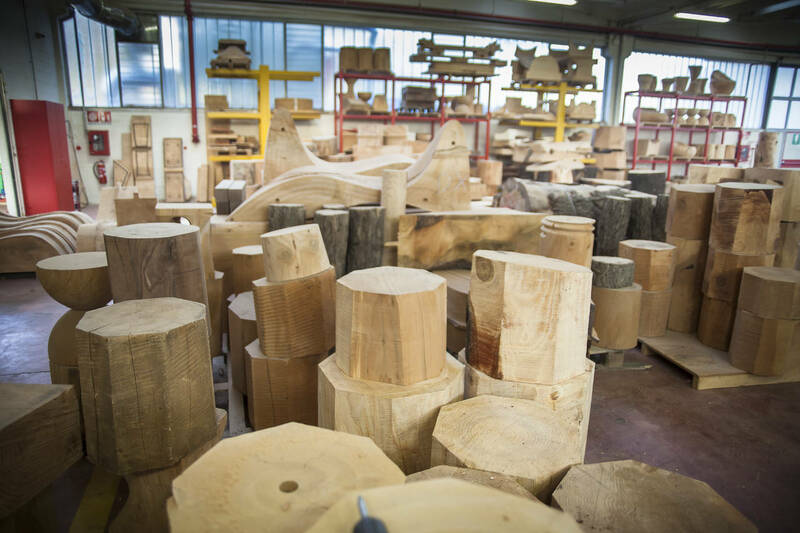 A combination of manual skill and industrialisation that results in a large output (4,000 tables a year, for example), without forgetting that each one is a unique and unrepeatable item. Just in time workmanship that sees a large number of tables, bookcases and stools made to measure. 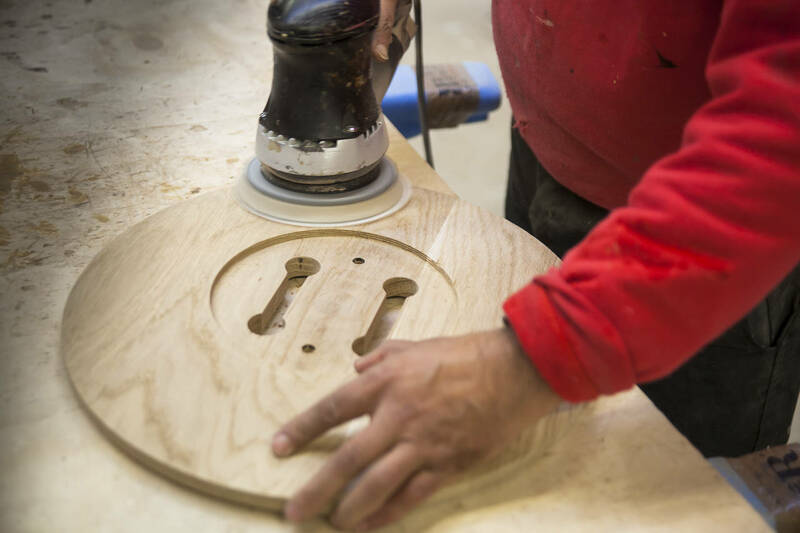 Obviously for some collections, like the cedar stools, a lot of the work is done by technology, with numerically controlled machines that first rough cut and then give an increasingly refined form to the item. 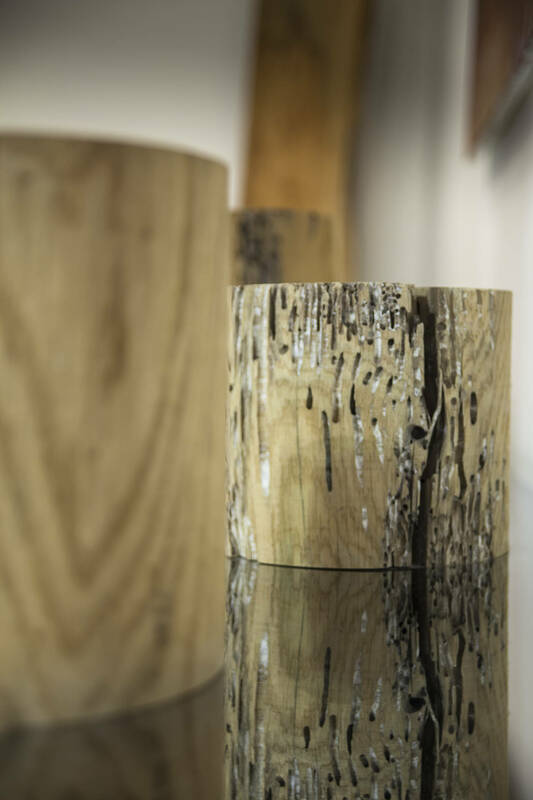 However, with the Kauri tables, machinery is not used and it is up to humans to interpret each table, skilfully and perfectly filling the empty spaces in the wood with resin. 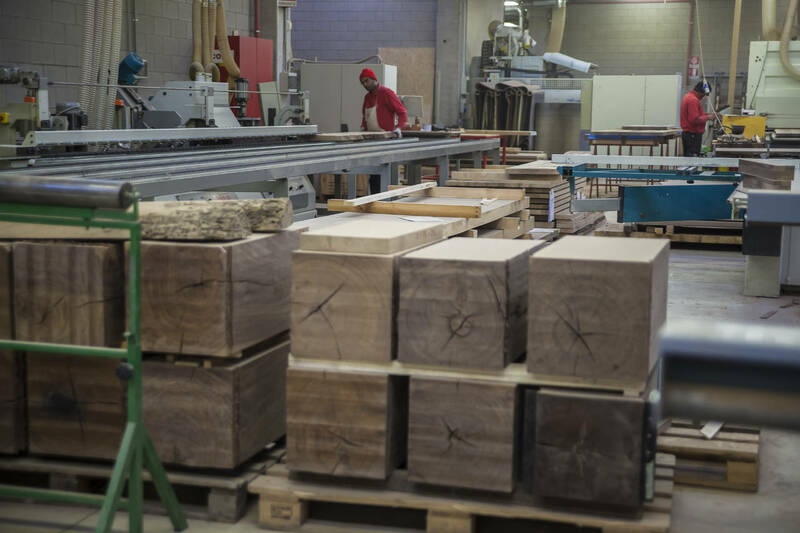 In the factory - three production plants - located near each other in the Cantù area, the starting point is concrete, tangible skill, the result of various levels of knowledge. 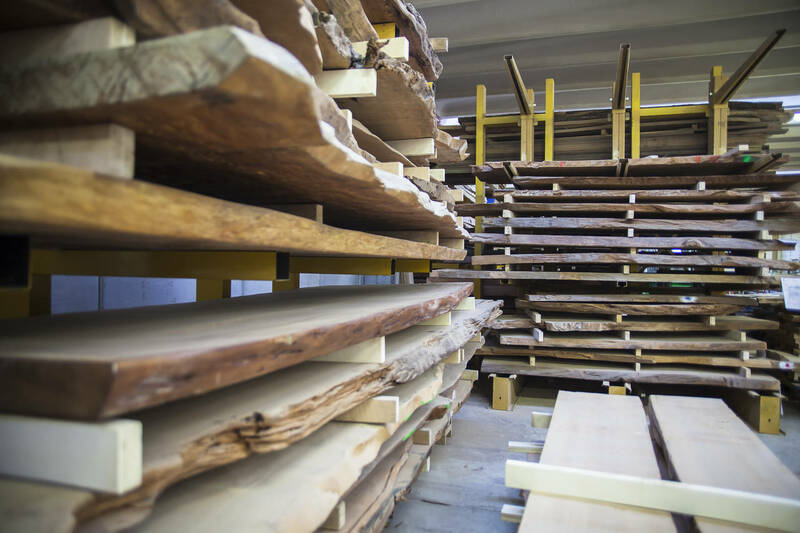 In each of the three plants, focussed on specific product lines, there is the feeling that nothing goes to waste, that every trunk is used to the full and that the truest essence of the material is understood. 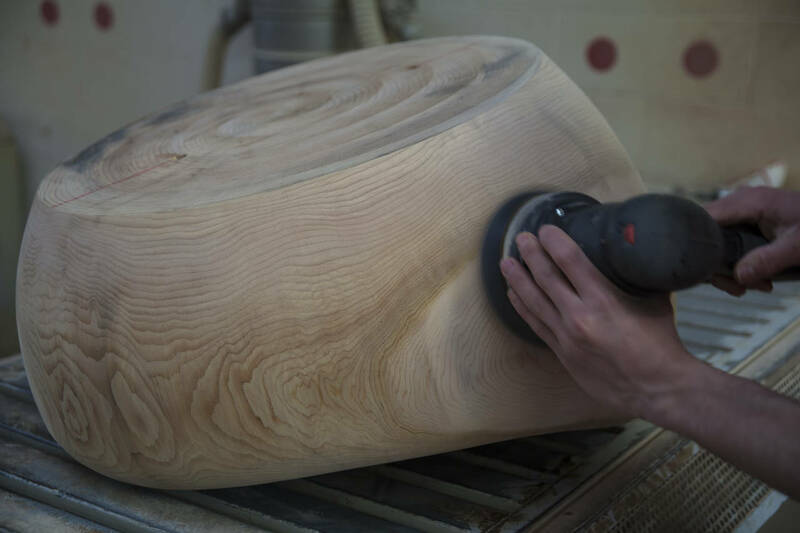 A large Lebanon Cedar from Lombardy’s forests can produce Napa stools, a Maui armchair, or a Molletta. 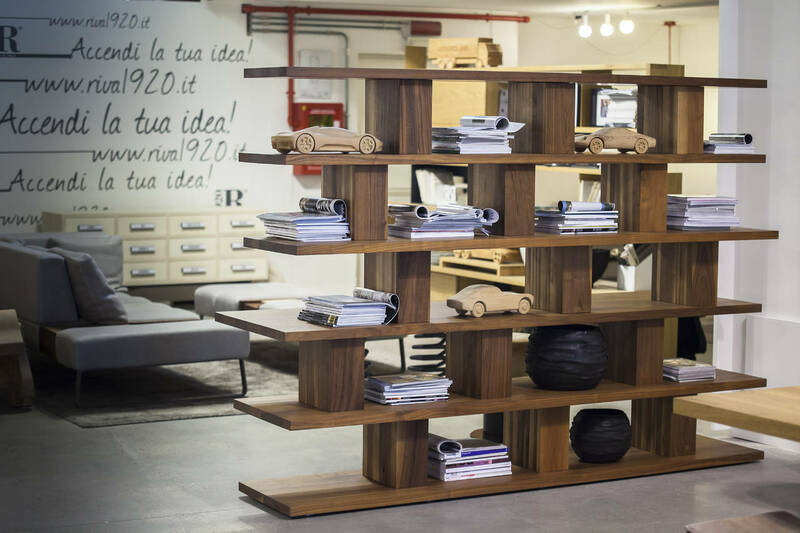 'Briccole', the oak poles planted in the Venice Lagoon to mark the waterways and recovered by Riva, can create a bookcase or a cupboard. 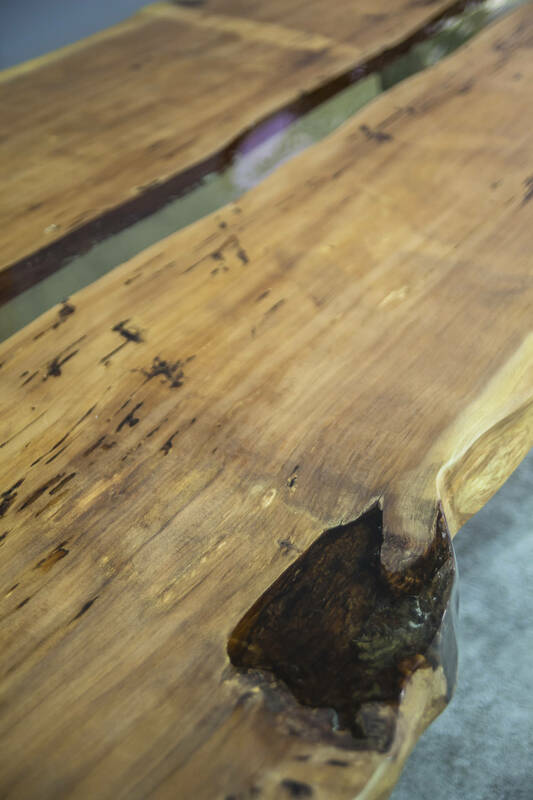 From a swamp Kauri extracted in the 'wood mines' of New Zealand, can come a large table top where the missing parts are completed with resin. And that’s not all: together with fine and recovered wood and revolutionary designs that have raised the company profile over the years, there is walnut, oak, beech and all the other traditional woods with which Riva1920 continually develops new collections with a contemporary image, the result of the creativity of in-house designers or outside design partners. The complete quality of the material is obviously at the basis of the production process. 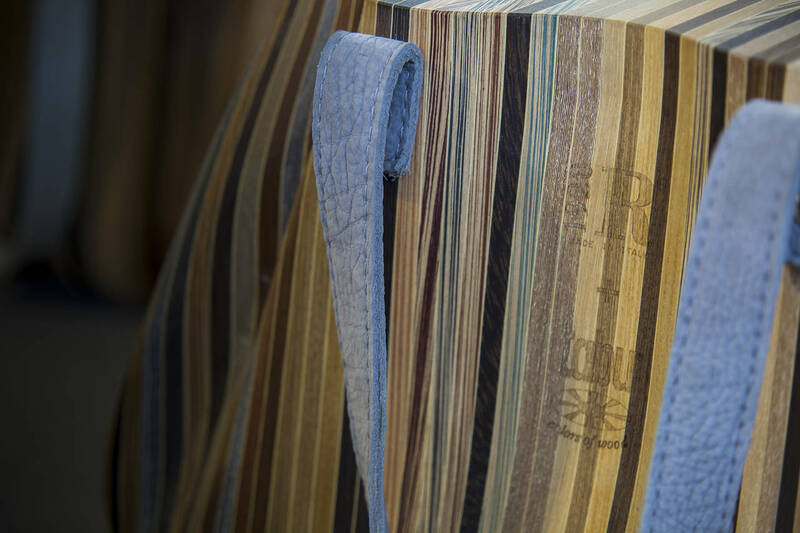 Every trunk, plank or element undergoes scrupulous checks on quality and functional conformity. Only then does the process begin, mindful of sustainability, with the use of vinyl adhesives and oil and vegetable wax finishes – the guarantee of an authentic and completely natural product. 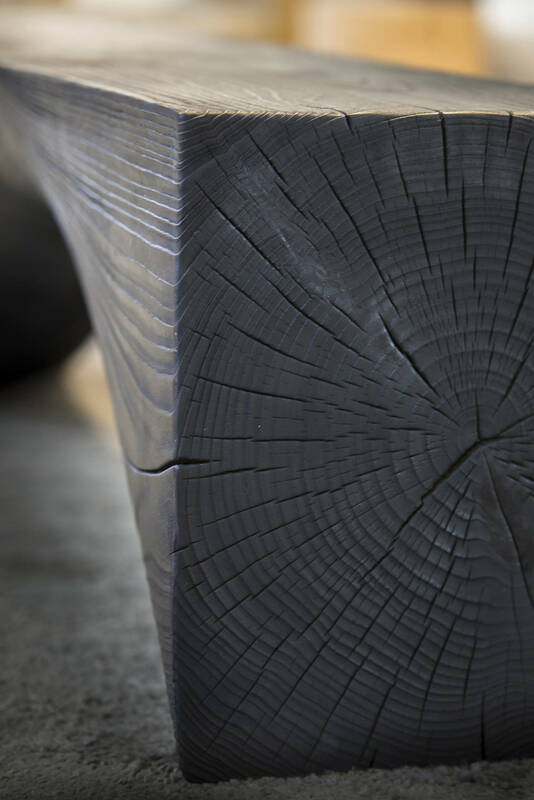 There are constantly new elements on offer, in collections but also in terms of research into finishes, like the vulcanisation or carbonisation that gives objects a dark finish. "It's black and everyone says that it’s lacquered, but that's not the case", explains Davide Riva. 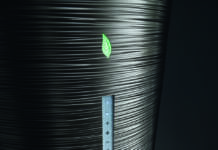 This artisan technique with evident references to Japanese tradition is the result of a careful study carried out by the Research and Development Centre, which is increasingly dedicated to experimenting with new processes that can respond to market trends while remaining faithful to the company’s principles and philosophy. 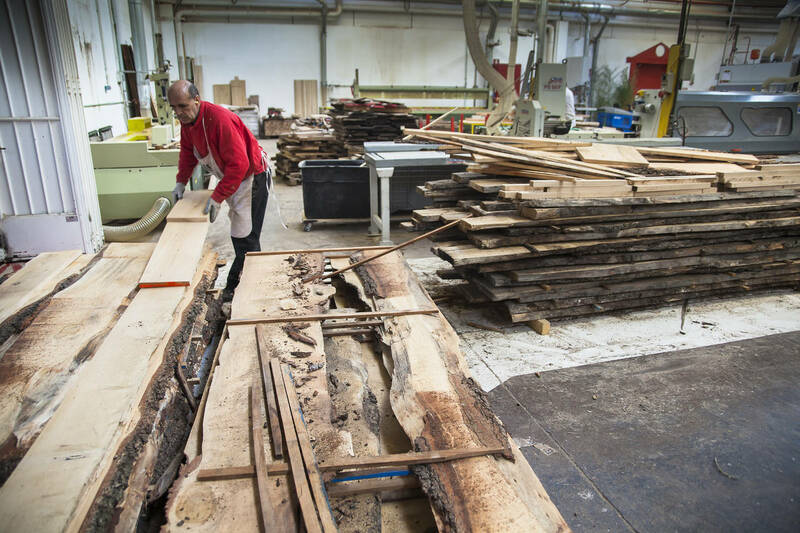 As well as its aesthetic value, this is a process that confirms Riva1920’s green spirit, its attention to the environment that ranges from reforestation to the use of adhesives, waxes and completely natural oils, from the reuse and recycling of the waste products of production to an awareness that wood is a renewable - but not infinite - resource, and therefore must be protected. This is a summary of the company's activities, its mission is to bring form to nature, to make unique furniture, timeless objects that can accompany us through our daily lives. 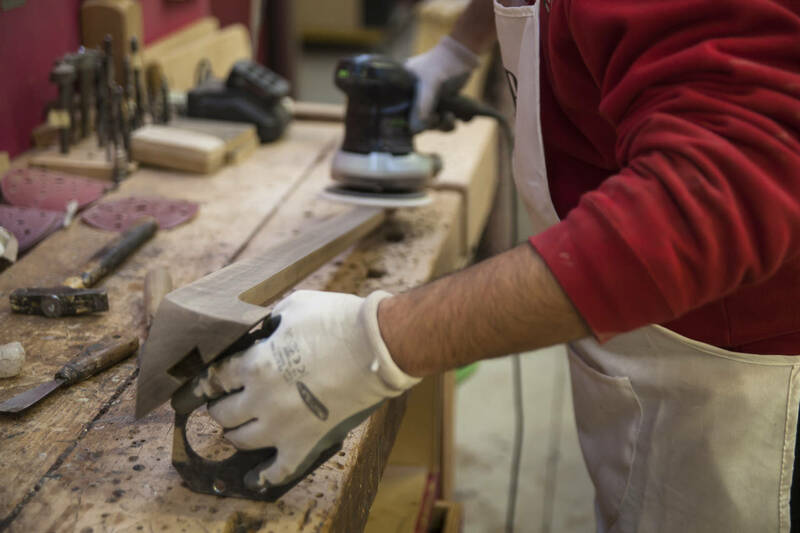 These products are 100% made in Italy and are the result of working methods linked to cabinet making traditions, thanks to the skilful hands of expert master woodworkers and the use of avant-garde technology. 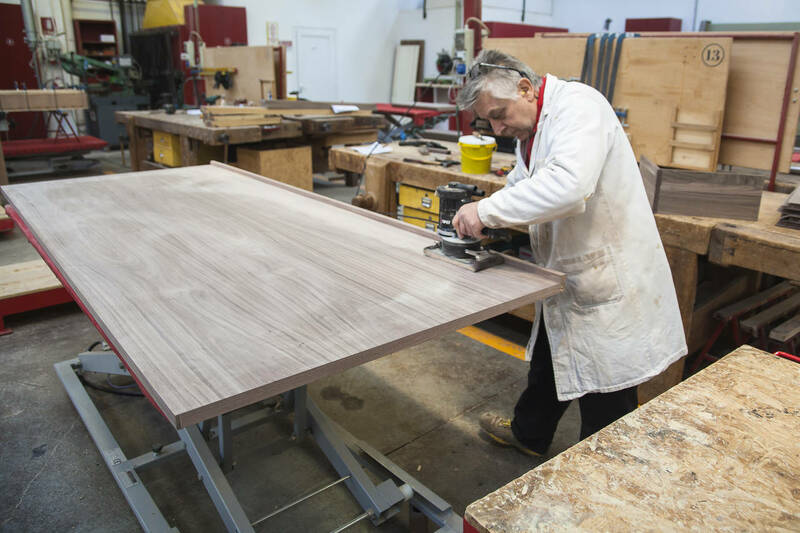 This approach allows artisan production to go beyond the dynamics of standard design and ensures a high level of flexibility and customisation, both in the home and for projects or contract supply. 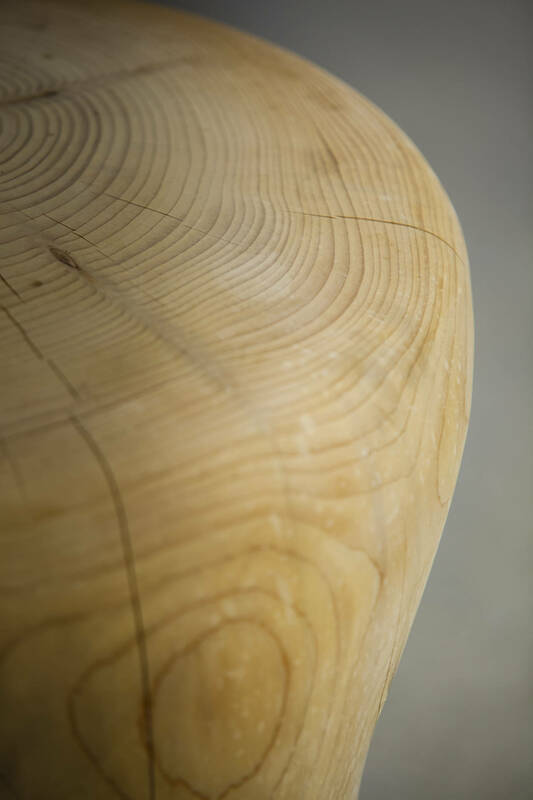 Renzo Piano, Michele De Lucchi, Karim Rashid, Mario Botta, Paolo Pininfarina, Matteo Thun, Terry Dwan, Alessandro Mendini, Marc Sadler and Mario Bellini are just some of the designers who, together with Riva aim to bring 'shape' to a material as splendid as wood. This has resulted in unique collections as well as exclusive projects like Davide Oldani's new D’O restaurant, an ongoing partnership with Eataly, the minimalist furnishings of the Notre Dame Du Haut convent in Ronchamp, in which Renzo Piano has joined the maestro Le Corbusier, and the furnishings of Mario Botta’s Viboldone Abbey. 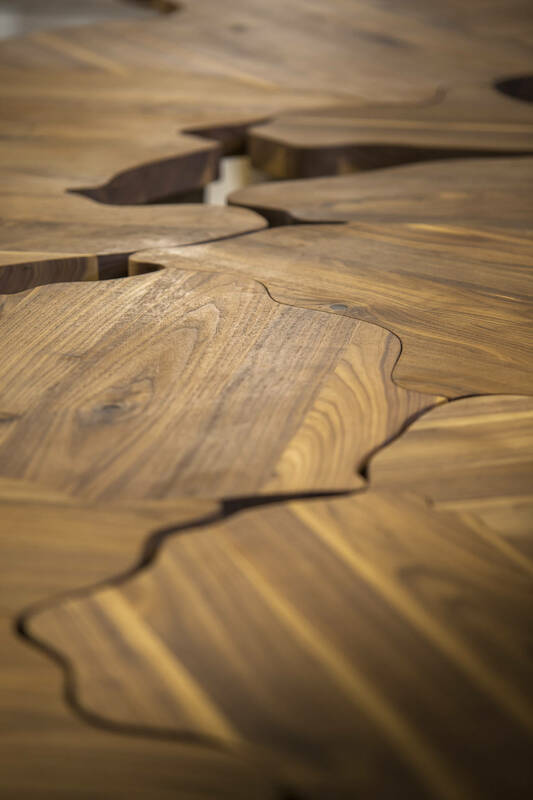 There are also special projects like the Pangea table designed by Michele De Lucchi for the Italian Pavilion at the Milan Expo and now chosen by the ADI Index, as well as socially-focussed projects like the Ambrosian Refectory in Milan or the collections created from recovered oak from wine barrels used by the San Patrignano winery. Today the company continues to follow its path of using and exploiting the qualities of natural wood to the full, constantly promoting the important role of manual labour, feeding a company philosophy that combines the functionality and aesthetics of forms, without ever forgetting the importance of a healthy, sustainable lifestyle, and respect for the environment and nature to which we return the favour of the wood used in furniture production. "I like feelings. I like living in harmony with others. I like the serenity that comes from having done a good job. I like the fact that our idea or someone else’s is transformed into something concrete that can make yet another person feel good". This perfectly describes Maurizio Riva's desire to never stop: just a few values give a sense to all his work. 2017 will see the opening of the second floor of the Riva Centre, which will house the Pangea table and a xylotheque, a collection of wood, marble and materials from all over the world. It will be in the spirit of Riva, a space where everyone, especially young people, can learn.